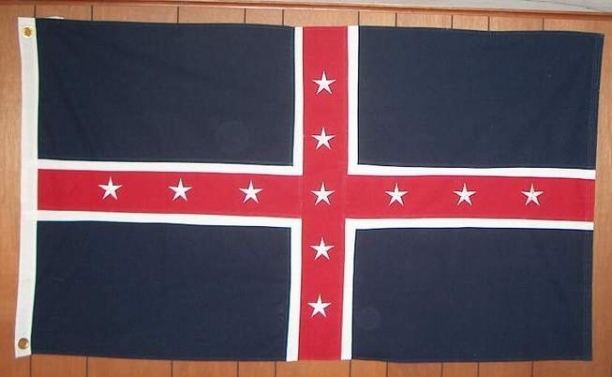 General Polk's Unit Flag. Heavy weight cotton, cut, & sewn. 3'X 5'. Satisfaction guaranteed. 100 per cent refundable if returned within 2 weeks of purchase. Pretty flag.